Beautifully fragranced BEACH soap in a very cute wrap. Made in Australia. 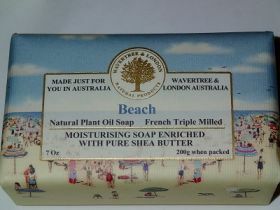 Not tested on animals, no petro chemicals, sodium lauryl sulphate, animal fats or propylene glycol.